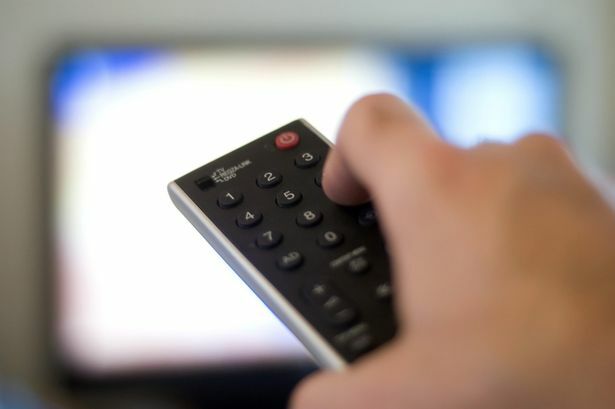 Birmingham&apos;s long-awaited TV station will have 41 hours of local programmes a week - and 40 hours of repeats. The detailed programming schedule for Kaleidoscope TV Ltd, which is due to launch by February 28 next year, is revealed in an Ofcom document on the transfer of the licence announced last month. The document from the regulator shows Kaleidoscope will broadcast a 90-minute breakfast show, news at midday, a business round-up, news and analysis at 12.30pm, a half-hour programme of news at 6pm and at 10pm and five two-minute round-ups of news headlines throughout the day. The programme schedule was disclosed following Monday&apos;s completion of the transfer of the licence to Kaleidoscope and the signing of the deal, finally clearing the path for the launch of the much-delayed local station in Birmingham. Kaleidoscope will be jointly owned by former ATV and Central presenter Mike Prince and former teacher Mike Perry. But the ultimate size of the payout to creditors of previous licence-holders BLTV, which crashed amid debts of around £170,000 leading to weeks of uncertainty before Ofcom agreed to transfer to Kaleidoscope, remains unclear. The Ofcom document says: "The service will focus on core news and current affairs output in the initial period of operation. "The service will be as inclusive as possible, forming partnerships with communities to deliver hyper local news coverage. "Producers from the community will be trained to deliver content about their areas on an ongoing basis. Resource and airtime will be provided to hear the voices of these communities. "News bulletins will be live with as many live links to events around the licensed area as possible. "The proportion of daytime and evening feature-led and factual/entertainment programming will increase and repeats will be reduced once the core news and current affairs schedule is established." Year two will see 55 hours a week of local programmes and 30 hours of repeats, while year three will see 68 hours and 23 hours respectively. Mike Prince told the Post last month that locations in Aston and Walsall were under consideration and staffing numbers would be around 20. Former Birmingham Post reporter Lisa Smith announced on Facebook that she was to be a sports presenter along with ex-Birmingham City footballer Michael Johnson. Meanwhile, creditors of BLTV face a lengthy wait before any dividend payouts, according to administrators Duff and Phelps. Matt Ingram, Partner, Restructuring at Duff and Phelps, said: "The process is that BLTV will be put into liquidation and we will advertise for creditor claims. I expect that the process of reviewing and agreeing those claims is going to take a good few months." The size of the fee paid by Kaleidoscope for the licence has not been disclosed.